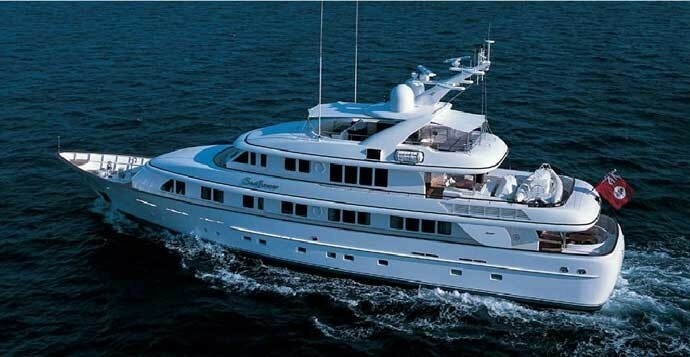 Luxury Yacht SEAFLOWER is a Feadship motor yacht designed by Naval Architect F. De Voogtand and launched in 2002 at the famous Feadship yard. 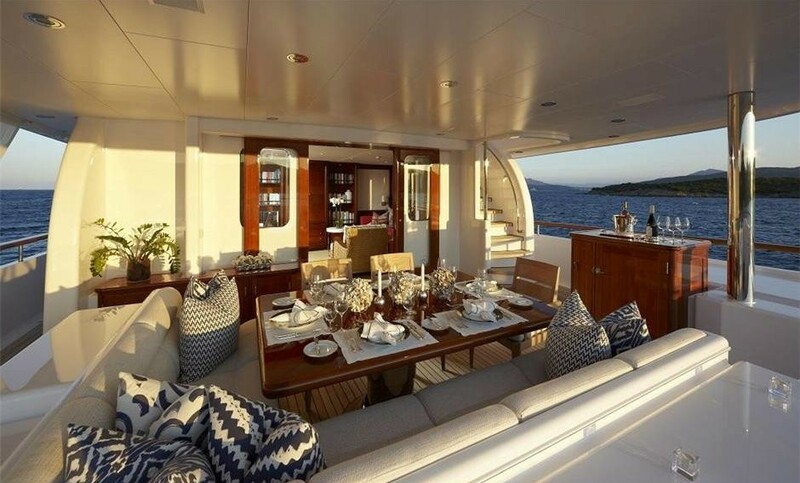 SEAFLOWER has interior design by Larvor Motor Yacht SEAFLOWER has a steel displacement hull and zero speed stabilisers so she is not only exceptionally comfortable but also exceptionally stable. 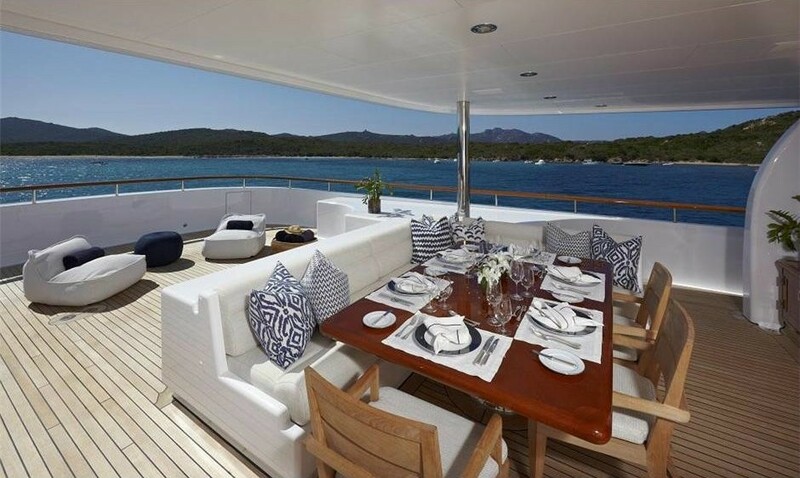 In Motor Yacht SEAFLOWER, the architects have compacted incredible amounts of volume and luxury into a relatively small length of 40m. 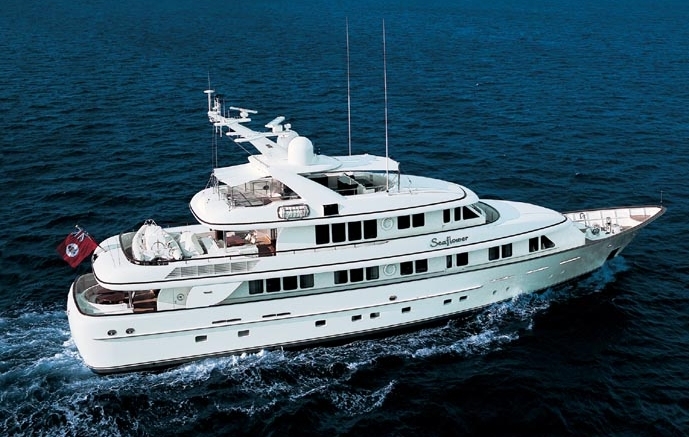 With a large master stateroom, four guest staterooms, two salons and three decks above the waterline, SEAFLOWER has the feeling of a much larger motor yacht. 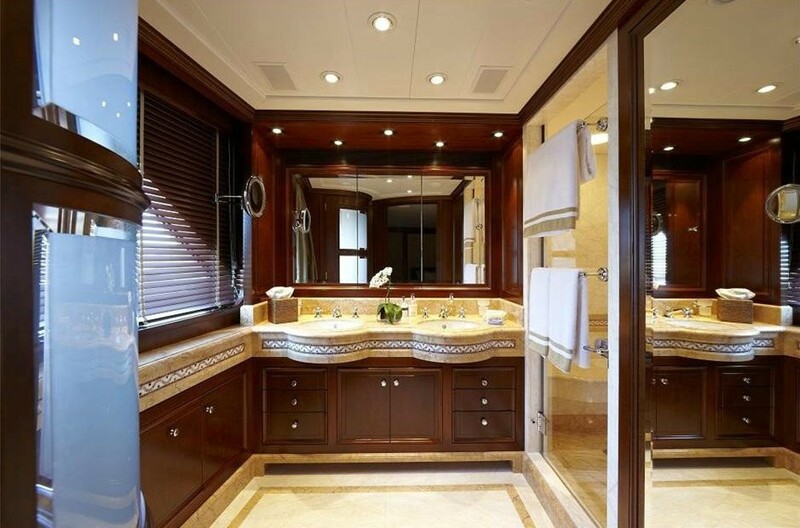 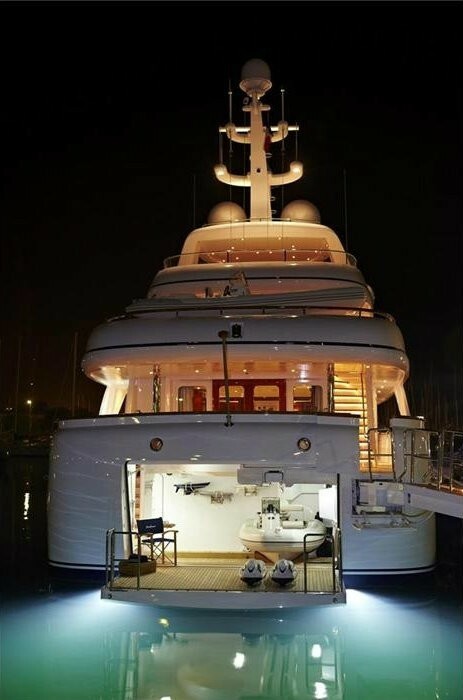 Luxury Yacht SEAFLOWER has been built and finished to the highest quality and this can be easily seen on the quality of the woodwork and furnishings throughout. 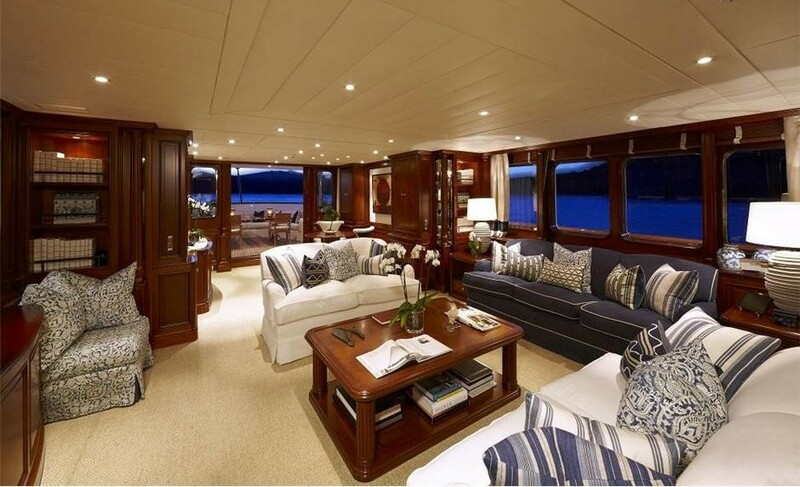 Her interior theme is calm and relaxed with the use of beautiful bloom-mahogany, cherrywood and redwood burl panels throughout. 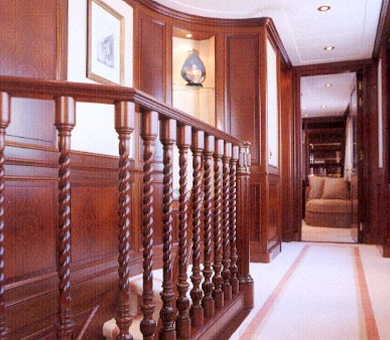 This stunning woodwork is enhanced by light fabrics and neutral colours. 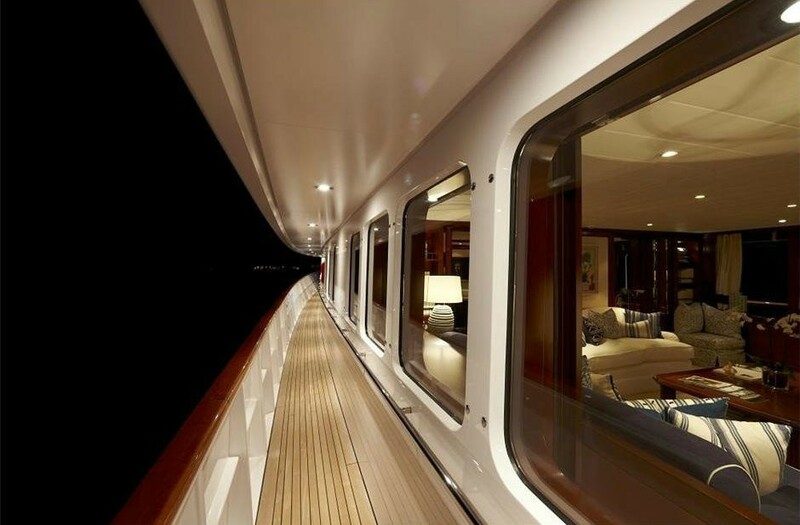 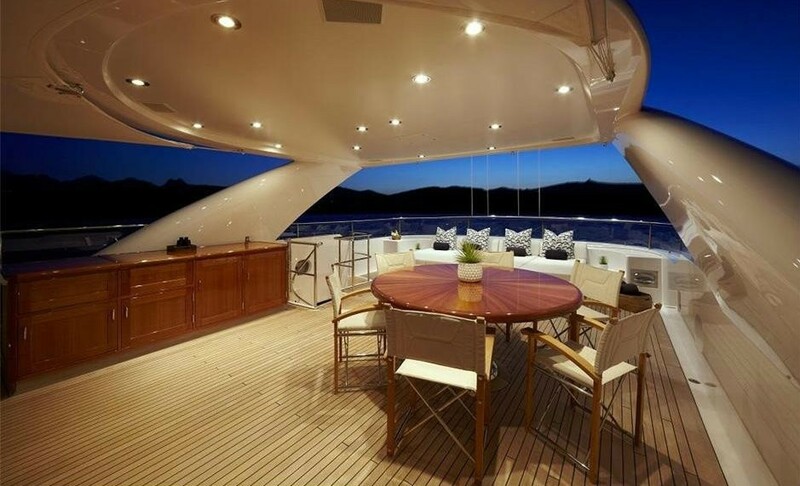 One of the outstanding features onboard SEAFLOWER is the abundant use of columns throughout. 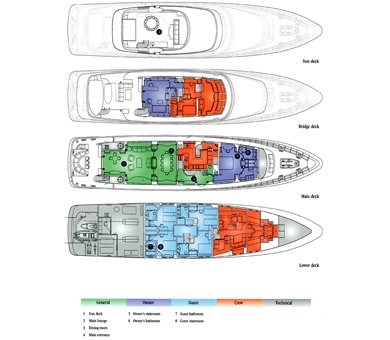 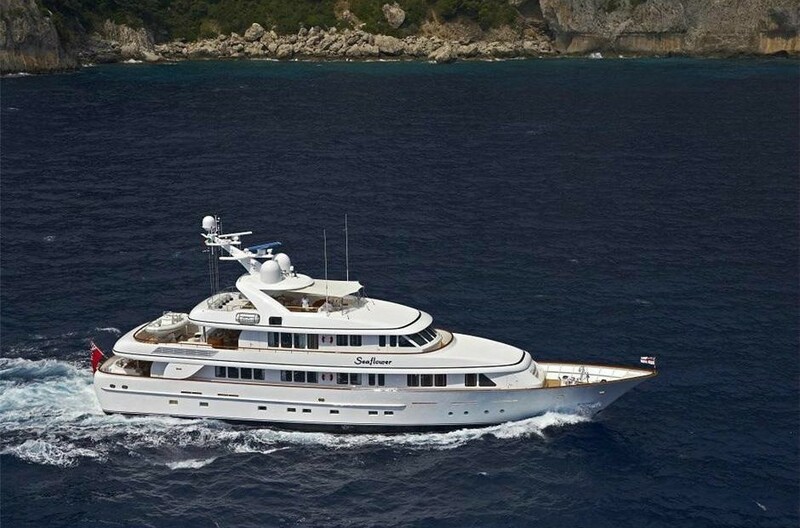 The well designed layout of SEAFLOWER means that she is surprisingly spacious for her length. 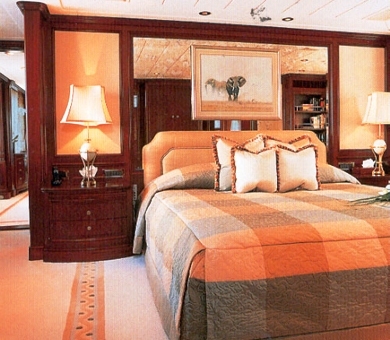 All of the staterooms are well sized and the owners stateroom is surprisingly large. 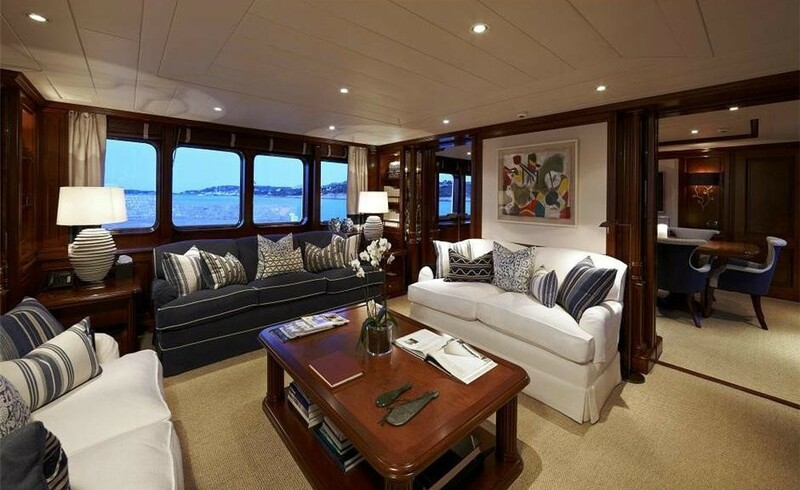 Her luxurious interior design continues throughout the guest accommodation with cherrywood panels, thick carpets and wall panels and headboards in a delicate silk weave. 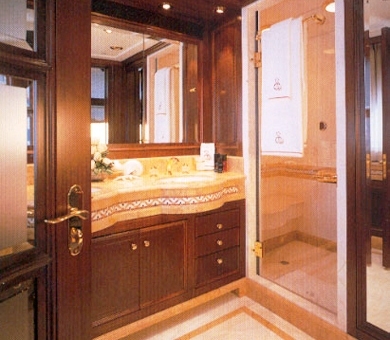 The ensuite bathrooms are luxuriously appointed, using a range of fine marbles. 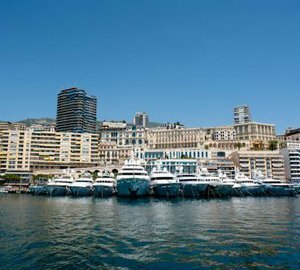 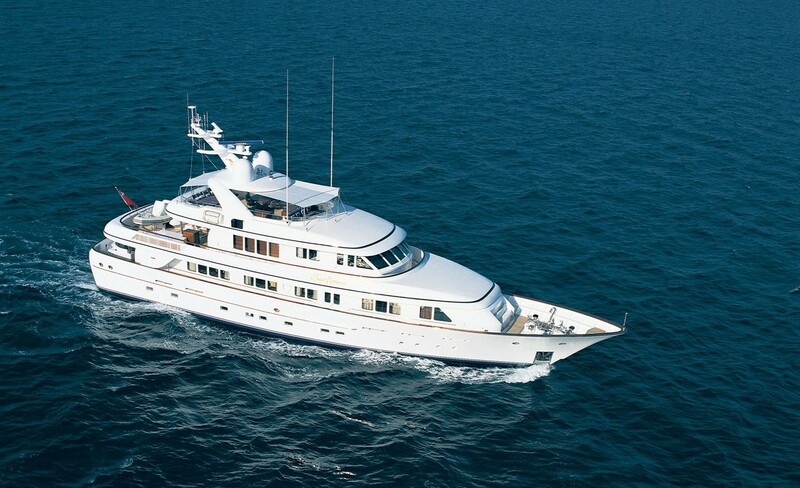 Luxury Motor Yacht SEAFLOWER is available for charter in the Mediterranean and her professional crew of 7 are looking forward to welcoming guests onboard. 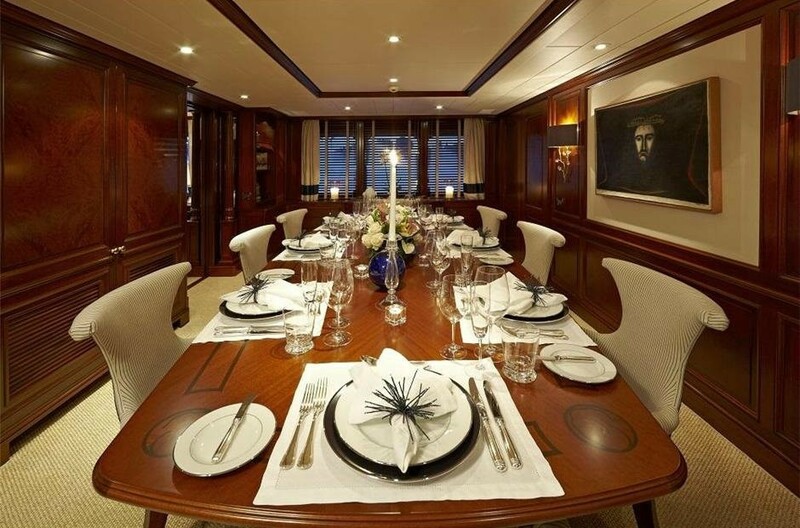 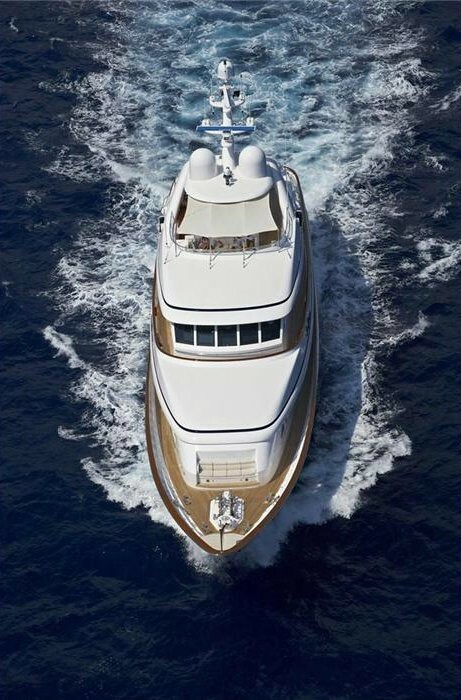 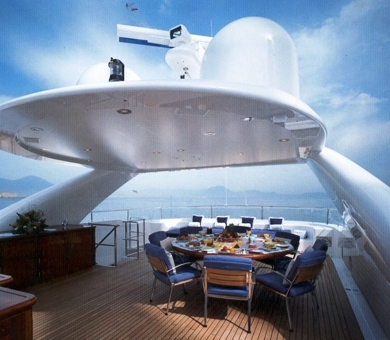 Luxury Motor yacht SEAFLOWER offers spacious accommodation for 8 guests. 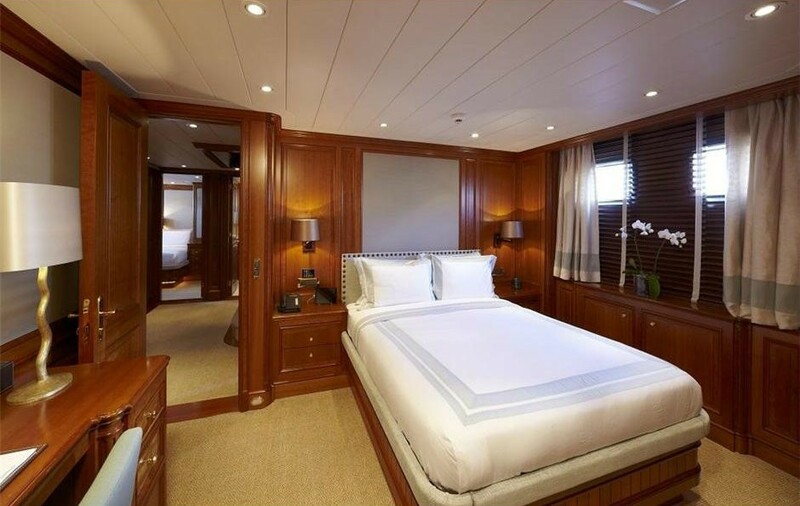 The Master stateroom is on the main deck and is full beam width with a king-size double bed, vanity and an ensuite bathroom with shower and dressing room. 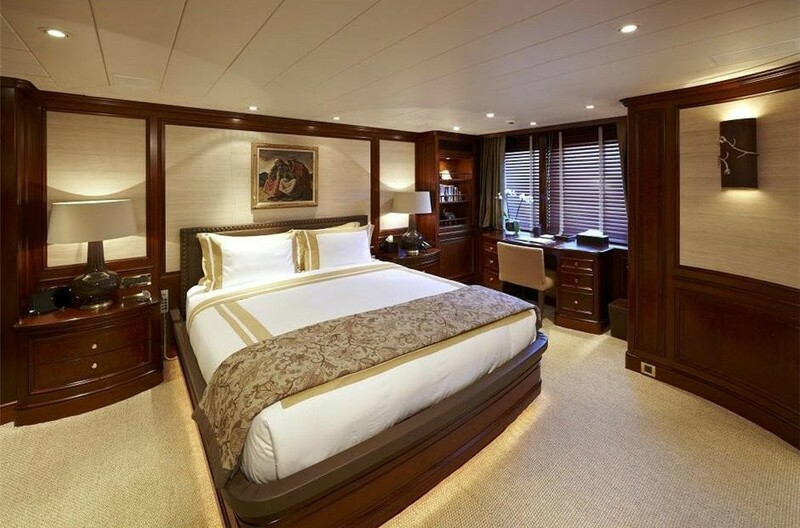 The VIP stateroom has a double bed, wardrobes and vanity unit and an ensuite bathroom with a bath. 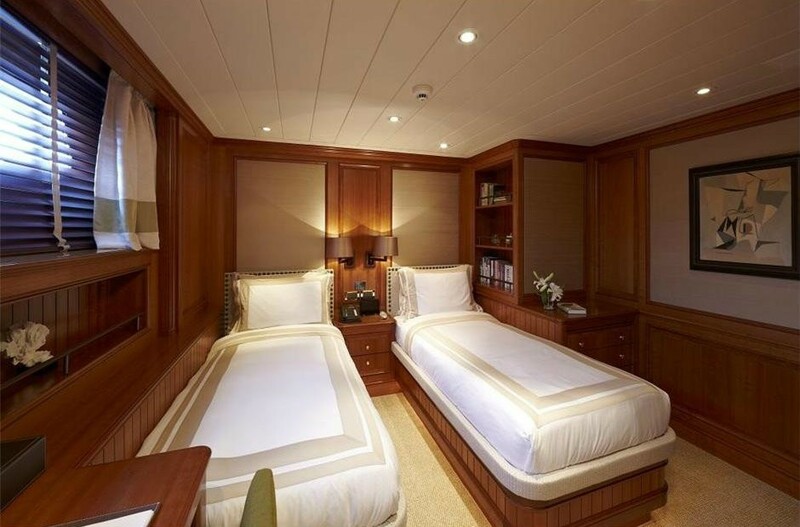 The three further staterooms consist of one double, one twin and one twin cabin which is suitable for children only. 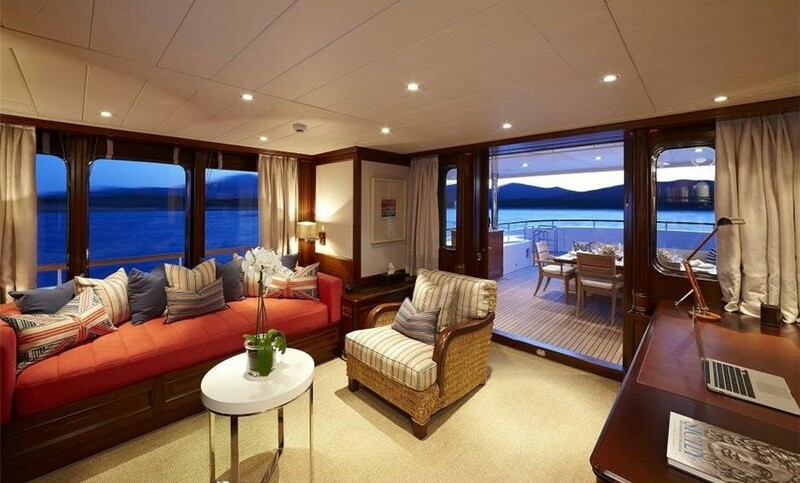 Each of these cabins are equipped with wardrobes and a vanity unit and an ensuite bathroom. 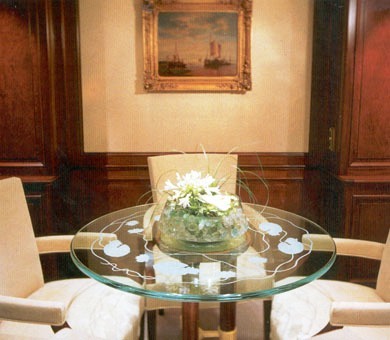 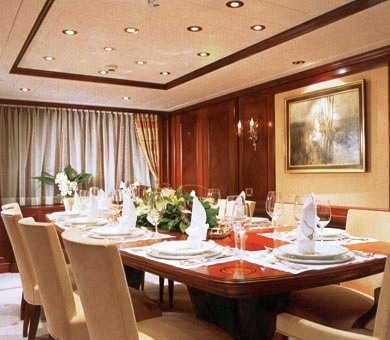 The VIP and all guest staterooms are located on the lower deck. 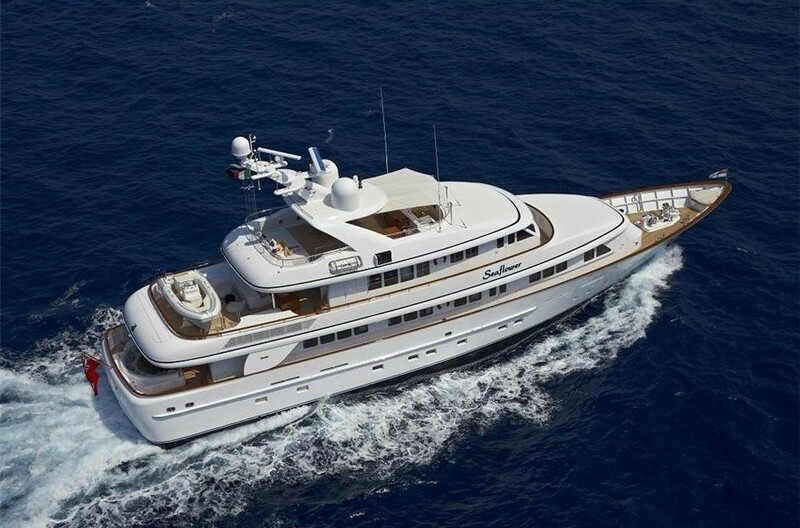 Feadship Motor Yacht SEAFLOWER is equipped with the following: 1 x Novurania 560 in board diesel 160hp; 1 x Yamaha Jet ski; Water skis, surfboard, wave boards, fishing gear, snorkelling and diving equipment with diving compressor but Rendezvous diving only. 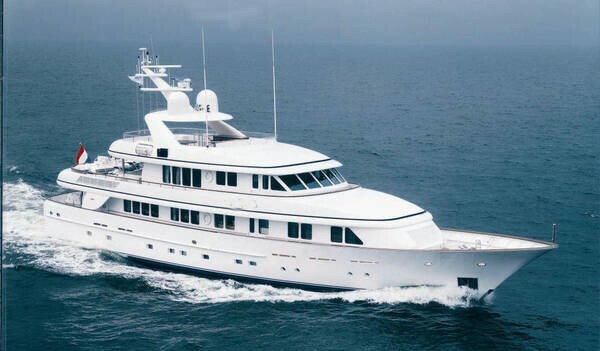 Communications includes: SATCOM: Nera Inmarsat B, VHF: Sailor HC4500 MF/HF control unit, 2 x Navico handheld GMDSS VHF units, UHF: x 9 Icom, Loudhailer: Raytheon RAY 430, Land line/intercom: Panasonic KX-T7550 – 7 lines, 2 x Engenius cordless phones, 1 x Mobile phone, Internet Wifi. 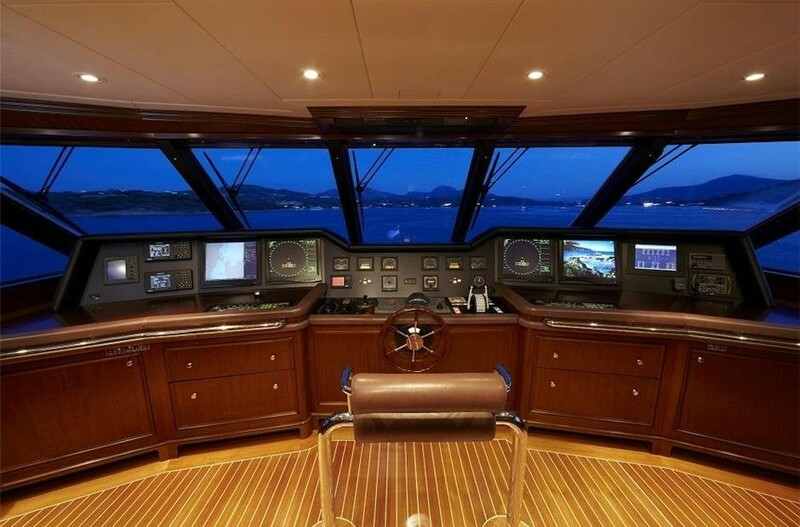 Audio Visual Equipment and Deck Facilities include: Main saloon: 44” Pioneer Plasma TV, Sony V555ES Digital Cinema Sound Processing, Sony DVD player DVPS535D, a Playstation 3 for games and Blue ray disk. 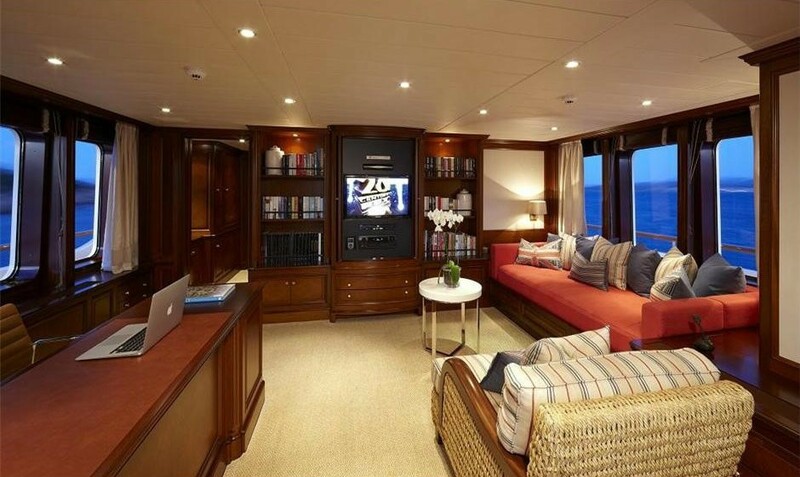 Master saloon: 27” Sony Trinitron TV, Sony V555ES Digital Cinema Sound Processing, Sony DVD player DVPS535D. 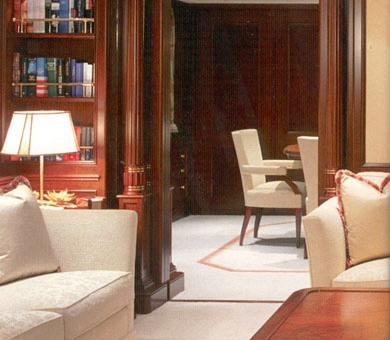 Owners office: 27” Sony Trinitron TV, Sony V555ES Digital Cinema Sound Processing, Sony DVD player DVPS535D. 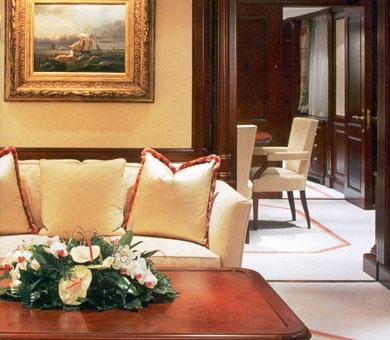 VIP and Guest cabins: 20” Sony Trinitron TV, Sony DVD player DVPS535D. 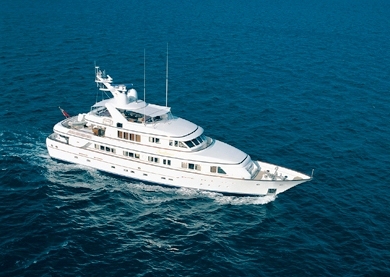 Russian TV Sat, VSAT; IPOD systems in the main saloon, owner's study and all guests cabins.